Lady Bird Johnson, former first lady of the United States and highway beautification advocate, was inducted into the Texas Transportation Hall of Honor at a reception and ceremony in Austin, Texas, on Wednesday, Oct. 17. The event was co-sponsored by the Lady Bird Johnson Wildflower Center at The University of Texas at Austin and the Texas A&M Transportation Institute (TTI). Johnson made improving the aesthetic appeal of U.S. highways her major initiative as first lady of the United States by promoting the Highway Beautification Act of 1965, which was nicknamed “Lady Bird’s Bill.” The bill sought to beautify the nation’s Interstate Highway System by landscaping roadside areas, limiting billboards and cleaning up junk yards near highways. 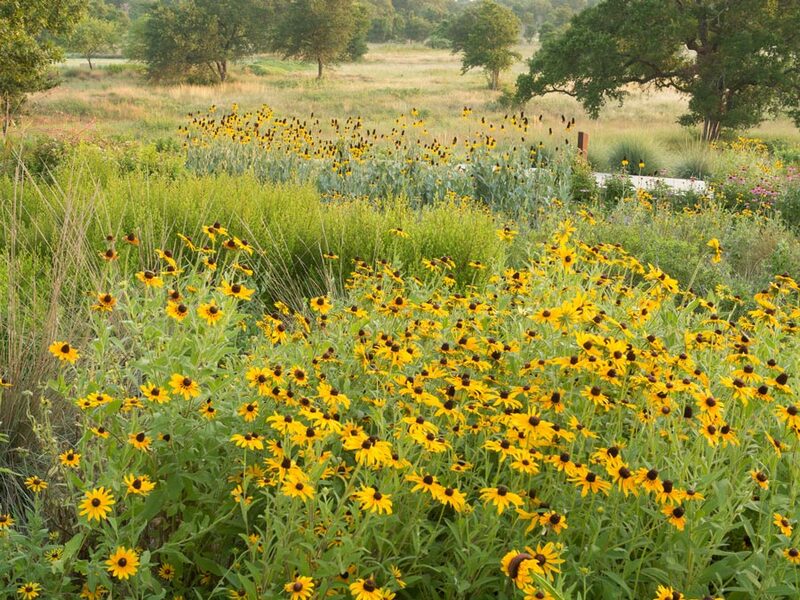 For 20 years, Mrs. Johnson gave monetary awards to TxDOT districts that used native Texas plants to the fullest measure possible. She hosted the annual Texas Highways Beautification Awards ceremonies, presenting personal checks to the award winners and treating them to a barbeque lunch. Five of the former winners of the awards were able to participate in the Oct. 17 ceremony: Tommie Jones, Gilbert Jordan, Russell Luther, Mark McClanahan, and Kyle Moseley—all still TxDOT maintenance division employees today. Other speakers at the ceremony honoring Johnson were Susan Rieff, executive director of the Lady Bird Johnson Wildflower Center; Ellen Temple and Glenn Biggs, family friends and members of the Lady Bird Johnson Awards Selection Committee; and Neal Spelce, family friend and spokesperson. 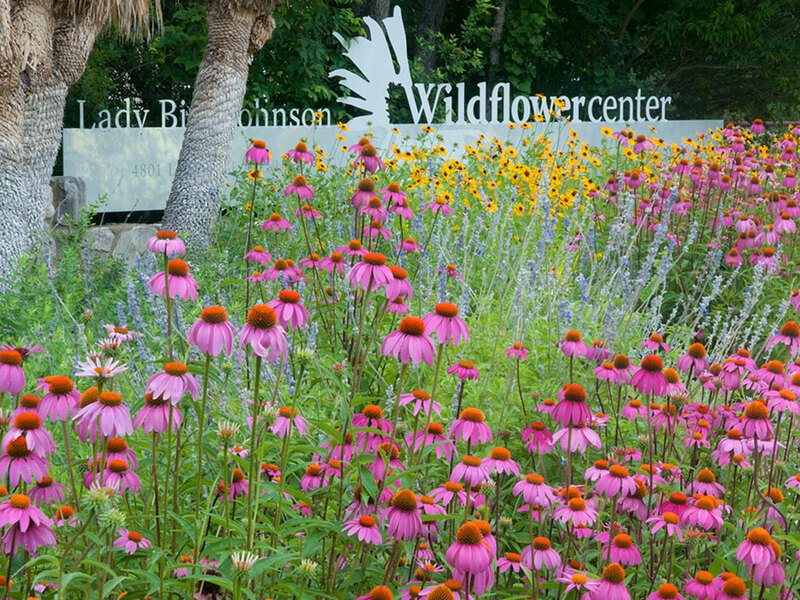 Johnson’s focus on the advantages and beauty of native plants led her to create the National Wildflower Research Center in 1982, renamed the Lady Bird Johnson Wildflower Center in honor of her 85th birthday in 1997. She would have turned 100 years old this year. Johnson becomes the 37th member of the Hall of Honor, which was established in 2000 by TTI as a way to recognize select individuals who played pivotal roles in the advancement of transportation in Texas and the nation. Each individual inducted is recognized by a plaque on permanent display in the hall, which is located at TTI on the campus of Texas A&M University.